Taking care of your car goes beyond getting cheap car insurance. Think only a professional can give your car the care it deserves? Think again. There are plenty of things you can do to your car at home. A weekly wash will keep your car’s finish in its best shape, according to Consumer Reports. Washing it at home could save you money in the long run, even though driving through the car wash seems like it’s quick and easy. “No one will wash your car with the same caution and care like you will,” says Jeff Bankston, a self-proclaimed car enthusiast and employee here at Direct Auto. Consumer Report says: Use a cleaning product that’s meant for cars, not household cleaning products like hand soap, dishwashing detergent, or glass cleaner on your car’s paint. A car wash solution will help preserve your car’s protective coating. Household cleaners could strip off your car’s layer of protective wax. 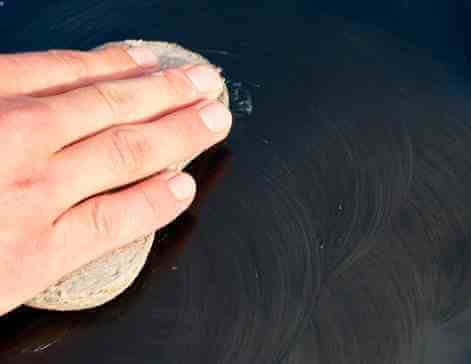 Use a soft, natural sponge or lamb’s wool-mitt to suds up your car, moving the sponge lengthwise across the body. Avoid letting your car air dry, as this will leave watermarks. Blot up the water with a chamois or soft towel. Now that the car’s surface is clean, channel your inner Karate Kid and give your car a good coat of wax to help protect your paint. It’s going to take some time, but it’s worth it, especially if you’ve used dishwashing soap to wash your car in the past. Choosing the right wax depends on the age of your car and how much plastic is on it, as some waxes can be difficult to remove from plastic. If you’re looking for a short-term shine, an easy spray wax might be all you need. If your car is older and you’re looking to bring back and maintain its finish, consider a liquid wax. Using a micro-fiber rag, apply two coats of wax: one as the initial covering, and the second to get any spots you missed the first time. For the ultimate guide to types and brands of wax, consult Consumer Report’s non-biased ratings, and always test the wax on an inconspicuous area of your car before waxing the entire vehicle. Your car’s air filter is designed to help trap dust that could find its way into your car’s air conditioning, heating, and ventilation system. A dirty filter can cause your car to small must inside. It takes most people less than 30 minutes to change an air filter and you can pick up a new filter at your local auto shop. You can ask your mechanic where your air filter is, or consult your owner’s manual. 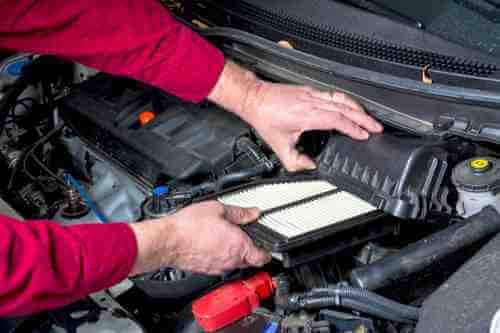 In some cars, the air filter is easy to find once you pop open the hood and is held in place with plastic clips. Before removing the dirty filter, notice how the current filter fits into the space and which direction it is facing. Remove the filter by unsnapping the covering, taking out the old filter, and slipping the new filter into place. 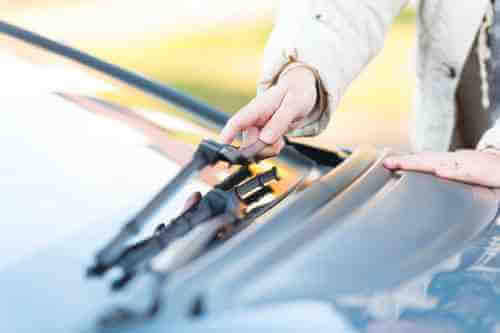 “Replacing worn wiper blades is easy and inexpensive,” says Rich White of the Car Care Council. If 90 percent of driving decisions depend on good vision like the Car Care Council reports, then having a streak-free windshield should be a top priority when it comes to car maintenance. When you purchase new wiper blades at neighborhood auto shops like Pep Boys or Auto Zone, they’ll usually install your wipers for free. If your wiper blades cannot clear the windshield completely, says Pep Boys, it’s time to replace them. If you prefer to change the wipers yourself, consult your car’s user manual for guidance and information about the type of wiper you should purchase. Want more tips for car care? Check out our easy cosmetic fixes for tips for detailing your car at home. Now we want your opinions. What kinds of easy DIY stuff do you do take care of your car? Let us know in a comment below!